There is something deeply spiritual about trees, standing silently as they watch generations passing by. Versatile and adaptable, the correct species will add huge dimension and depth to your outdoor refuge, while complementing existing shrubs and perennials perfectly. Their leafy stature offers the illusion of luxurious serenity and the ritual of planting a tree is therapeutic in itself, giving an immense sense of satisfaction. Possessing a timeless charm, trees are flexible enough to blend seamlessly into the background, or stand alone as a striking focal point of your garden. Planting a tree in a small garden sounds counterintuitive. After all, the aim is to make a cramped outdoor space feel more open, so the last thing you want to do is dwarf it with an overpowering tree, right? The answer is yes and no. Of course, a larger species of tree will engulf and swallow a smaller garden, detracting from the natural light and casting large shadows. 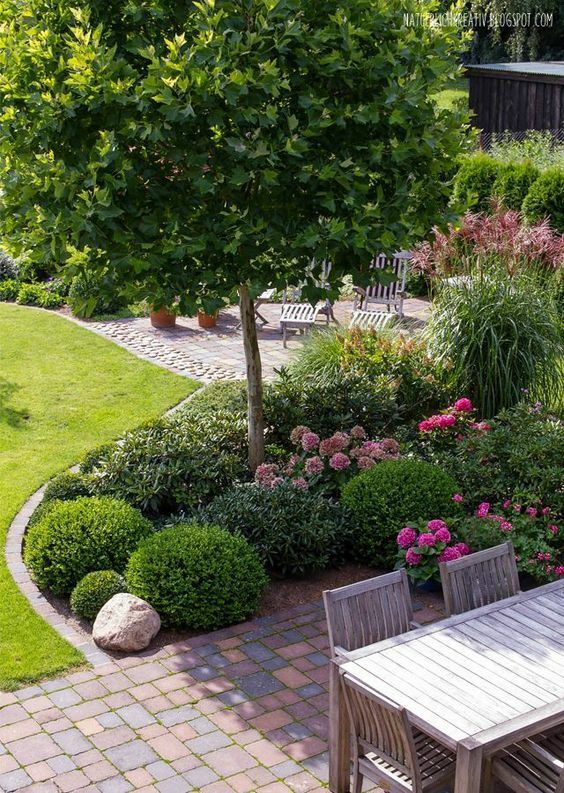 However, there are many varieties of smaller trees that are ideal for compact gardens, allowing you to boost the character and personality of your verdant haven. At its most basic level, a tree is a low-maintenance feature with unlimited possibility. It can be used merely as a green backdrop to set your colourful beds against, or an intense focal point to plant your shrubs around. Requiring minimal upkeep, trees are excellent for gardeners who lead busy lifestyles and they survive the harshest weather conditions without much extra care. Trees are healers and soothers, neutralising the pollution and airborne toxins that go hand in hand with city living, meaning your garden will have a purer oxygen quality. That’s not the only environmental benefit either. In the scientific world, trees are known as autogenic ecosystem engineers. Put simply, this means that they enrich the surrounding environment by modifying themselves. As a tree grows, its branches and leaves evolve to become home to various animals and insects, creating its own little ecosystem and enhancing the biodiversity of your garden. What could be more relaxing than the twitter of birdsong and the lazy drone of passing bees! Before settling on a suitable species for your garden, there are a few points to consider. Habitat is a major deciding factor when browsing potential trees. Identifying the type of soil in your garden will save a lot of effort and ongoing maintenance in the long run. 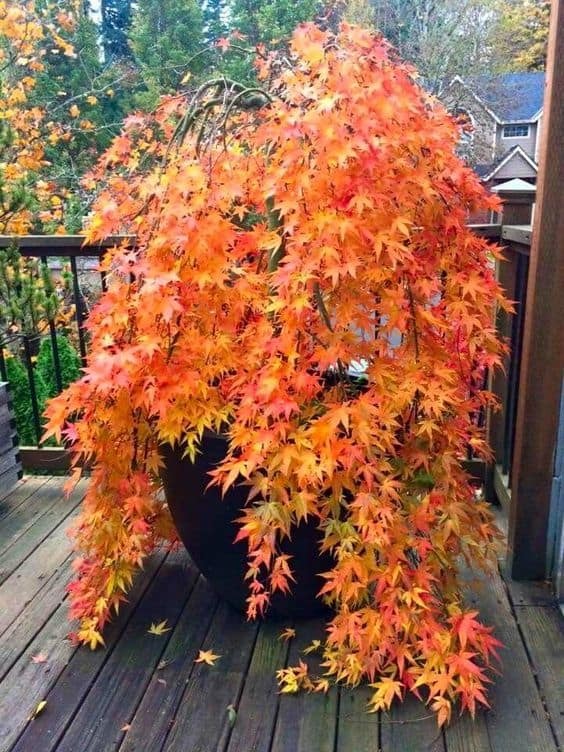 Let’s face it, nobody wants the hassle of a tree that requires regular feeding due to unsuitable soil conditions, so it’s well worth doing your homework before taking the plunge. One of the most stunning facets of a tree is its sheer immensity. However, there is a fine line between inspiringly vast and downright imposing. A domineering tree such as an oak might seem like a good idea, but in time it will overwhelm other features and block light from entering your garden and house. The potential height and spread of a tree is one of the most important elements to contemplate when choosing a tree for a smaller garden. Even the smallest species have a growth span of up to 6m, so bear this in mind before planting. Weeping trees are excellent for restricted spaces as they tend to grow outwards rather than upwards. If spread is a worry, a columnar species is a better option. For tiny gardens or concrete yards, trees planted in large containers are the perfect compromise. Trees should always be planted a good distance from your house so that spreading roots won’t undermine the foundations of the structure as they grow. As with perennials and shrubs, the aspect of your garden will have a bearing on which trees are suitable for planting. Some species prefer the sunny south to the cold dark north. As well as this, considering the placement of the tree in relation to the rest of your plants and flowers is vital to create maximum impact. Perennials and shrubs draw your interest along the landscape of a garden, whereas trees are like punctuation points, telling your eyes where to pause and guiding them where to look next. Recognising this will help you to make the most of your tree in the bigger scheme of your outdoor refuge. Season of interest is another crucial point to think about. Trees are often overlooked in this regard which is a huge shame, given that they have the potential to bring life and colour to your garden all year round through flowers, foliage, fruit and bark. Incorporating your tree into your existing planting scheme will help it to blend flawlessly with its surroundings. If you prefer bright vibrant perennials in the spring and summer, then a tree with autumn or winter interest will follow on beautifully, meaning your garden isn’t too bereft when the evenings turn dark and cold. Spindle trees and paperbark maples are popular options for this. For a low-maintenance garden, a tree with multiple seasons of interest such as the crab apple are a spectacular feature which give an intense blast of colour while flowering, as well as bearing fruit and shedding wonderfully rustic leaves in autumn. Certain species such as willows can act as an architectural interest with their structure alone, drawing the eye into their fascinating web of branches. Trees generally require little attention apart from an annual prune. Removing diseased stems and crossed branches encourages new growth and will ensure your tree thrives. It is important to prune at the correct time, otherwise the bloom may be restricted the following season. Trees that bloom in early spring should be pruned in late spring, immediately after they finish flowering. Trees that bloom in the summer should be pruned in winter while dormant, or early spring at the latest. It really is as simple as that! The key to guaranteeing that your tree flourishes is in the planting, so plan carefully and you will enjoy your leafy canopy for years to come.